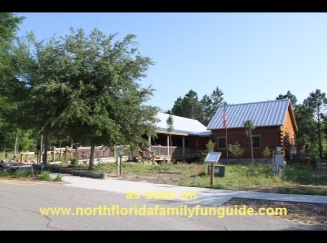 Brand new in 2009 this fantastic Nature Preserve and natural science center is built like a cracker cabin. Inside there are meeting spaces, rows of microscopes, a pull down projection screen for presentations, and many natural science artifacts and touch tables for an interactive hands on learning experience! There are historical tools on the tool table, from the late 1800's that are very interesting to look at. This Nature preserve has a 1 mile long boardwalk with a covered pavilion at the overlook on Lake Apopka. There are also nature trails sprawling out over the 123 acre parcel of land! Late October the Nature Preserve features a Heritage Festival, and you can find out more about it on their website above. The Oakland Nature Preserve is an excellent destination by itself or as a side trip while biking the West Orange Trail, which runs right past it. The are open 365 days a year, and offer lecture series and classroom sessions for young and old alike. 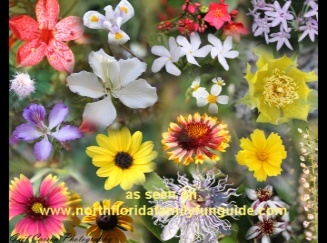 Nature clubs have regular monthly meetings here, narrated nature walks are available by appointment, and there is always need for more volunteers to help. We enjoyed our time here. Bryan loved the touch table filled with animal artifacts, like snake skins, dear skulls, jawbones, and even a whale vertebrae. His favorite thing was the black bear exhibit inside a Plexiglas enclosure.